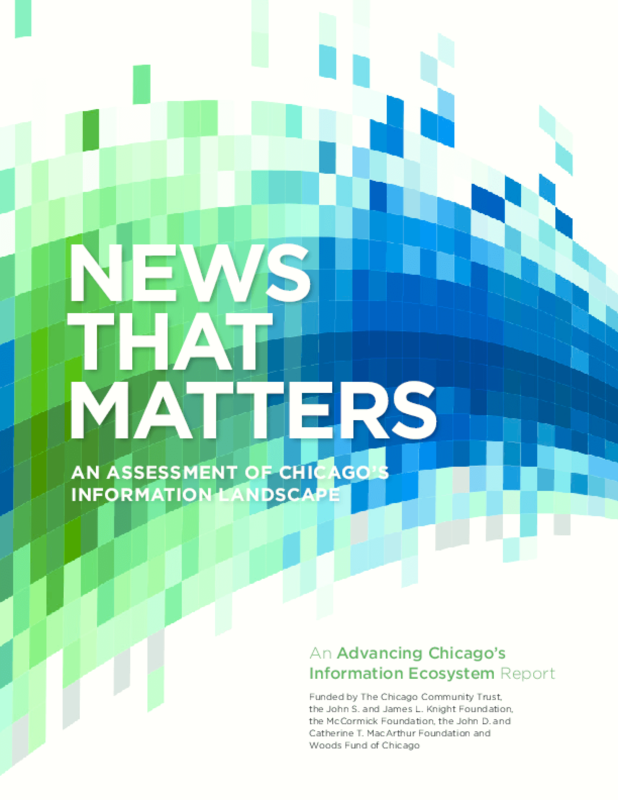 The Community News Matters project of The Chicago Community Trust conducted surveys and focus groups of the general public, local leaders and low-income residents to assess the level to which critical information needs of democracies are being well-met in the Chicago region and to identify critical information gaps and deficiencies in Chicago's information landscape that may need to be addressed. Copyright 2011 The Chicago Community Trust. All rights reserved.